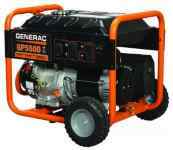 The Generac IQ2000 generator Model 6866 is a simple and easy to operate generator in the market . It may be a answer to your mobile power problems. You can run both quietly and cleanly, so it’s very easy to use. It’s really fantastic one for home power backup source. You need to just set it up in your home corner and let it do it’s job. It’s also a great way to use Electronics device and others outdoor Excursions while there is a power outage. The benefit of this generator is very high but you may be have another question. Does this quiet Generator do enough to fit Power that you need? 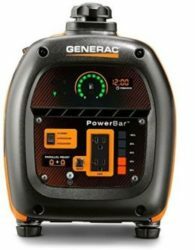 We are trying to give you a review about the Generac 6866 Iq2000 portable generator’s features as well as its positives and negatives. This can then be compared to your power needs to consider if it can fit your requirements. Hopefully it will be help you to choose if this generator a similar unit is the best one for you. Generac Engine– Generac OHV Engine have three settings, turbo, Economical and regular to protect power. It’s alerts the engine speed on power needs. This is the key opportunity of Generac generator. Capability of parallel– This generator has the ability to double power output capacity by hooking up two of these generators in parallel. This is done with a small device which plugs into each unit connecting them. Fuel Economy of this generator– You can run this generator for approx 6-7 hours on its 1 gallon tank if its set to about 25% capacity. Smart Led– It’s has centralized display lights to see battery life, fuel level and wattage use. Also you can get update status of the generator. Clean and quiet – The Generac Iq2000 generator is ultra clean and quiet running with best efficiency. 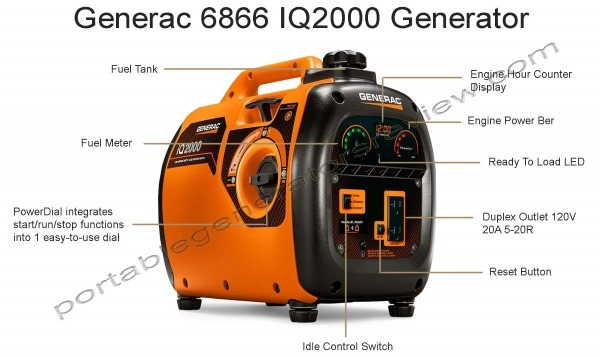 Use Of this generator – Generac Iq2000 generator you can use it very easy and smoothly. it’s have most of the vital settings like fuel level , visible on the dashboard. also you can easily opened fuel and engine compartment this makes refueling and repairing the generator quickly. also it’s very easy to start. High tech-This is the best opportunity on this generator that it’s have digital adjustment capacity to power output what type of device plugged in. it’s help to long lasting by cutting down on waste power. also you can use it many modern device , which many older generators can’t give this opportunity. Portable – This model made by light weight materials so it’s very easy to cart and pick up around. also it’s compact design ,smooth and fit about home , outside , or anywhere. This generator output is very strong and it’s possible to use to large device like air conditioners and refrigerators. matter of the think it can’t maintain multiple heavy device at same time.Either stick about small items to use it big things at one time. The Generac 6866 generator is a reliable and efficient model. It is on of the most moving portable generator on the market. This generator is very easy to use. It can power most daily household electronic devices and lasts for a fairly long time if not under too much load. You can read it clearly because it’s have a large display and it’s label very clear. This portable generator is a ideal solution if you need light weight, small size and mobility. 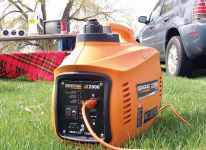 It’s really great generator for tail gate parties or outdoor events as like as Generac GP17500E portable Generator. 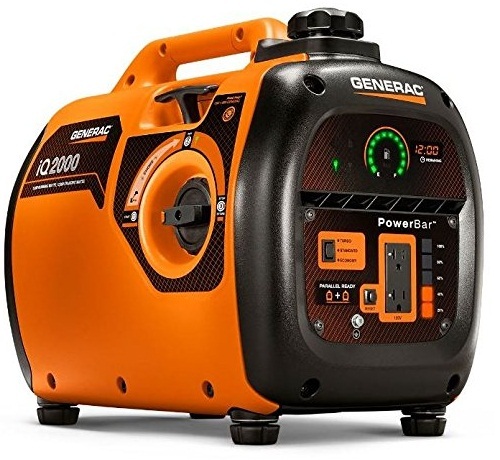 But also you can use Generac IQ2000 generator for your home power backup. This is because it’s very easy to pull out and can be stored away in case of an emergency.